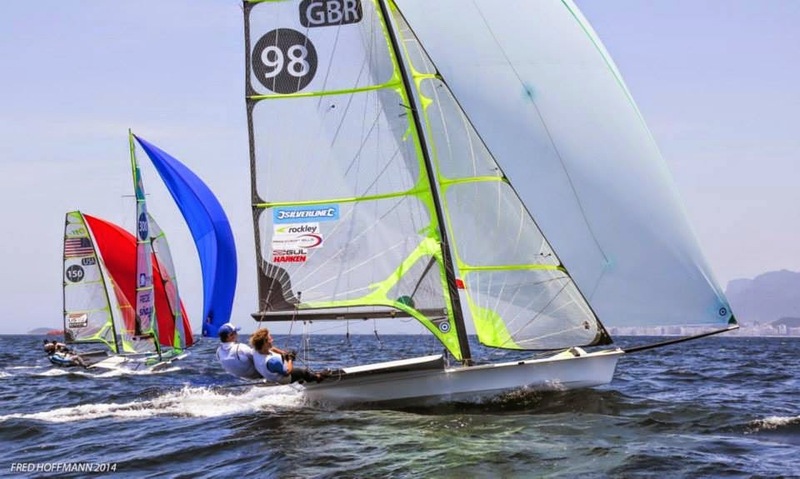 The final week of our Rio trip comprised a couple of days of exploration and another four days of racing in the ‘Intergalactic 49ers’ - a fun regatta organised by a local sailor with the hope of bringing good foreign teams down to train and race against. In its second and final year, and in keeping with tradition, there were social activities every evening, usually involving a few caipirinhas! We took two days off after the South Americans due to Dave’s reoccurring back injury, which unfortunately inhibited him a little for the remainder of our trip. Nevertheless, the racing was again tight and a great opportunity to work on some issues without really worrying about the result. Once again the wind was solid for the whole four days and we struggled to find our usual speed on the borrowed kit. We had a couple of crashes/incidents that cost us in a few races, but we finished strongly and took some great venue knowledge away from the racing. The final race of the Intergalactics is traditionally a double points ‘crew race’ to keep the fun and add some serious entertainment for the coaches. With the wind building to very gusty 15+ knots and the 25 boats careering around the start line, everyone was buzzing but secretly quite nervous! The race was one lap and then into the harbour to finish. This involved a long upwind through what the locals call the ‘The Strip’ due to huge, unpredictable gusts of wind that blow over the towering sugar loaf mountain and drop out of the sky, exploding so unpredictably that it’s super easy to capsize or crash into the moored boats if you don’t have your wits about you. We had a great start and were in the top two, but got a bit caught up trying to go fast and all the boats that got to the hard right made a big gain. After a sketchy bear away we had a solid downwind and made it through ‘The Strip’ relatively unscathed! We didn’t win, but it was a great way to finish the trip and there was plenty of banter flying around back on shore. All in all, the trip was a big success, with an improvement on our World Ranking and a lot of time spent in Olympic waters. 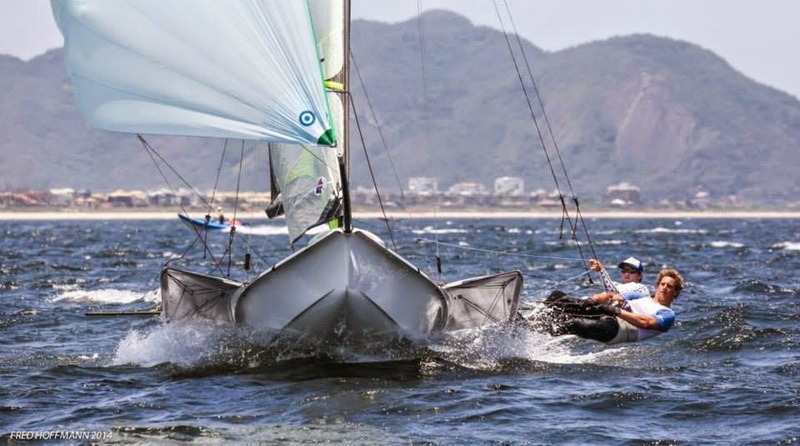 Using totally unfamiliar equipment should also stand us in good stead for the World Cup finals in Abu Dhabi, which takes place on supplied boats and masts. We now have a week at home to catch up and repack before heading out to the Middle East on 22nd November, with the regatta starting on the 26th. We would like to say a huge thanks to Thomas Lowbeer and his Mum, Alexandra, for hosting us during our stay, and we can’t wait for our next trip to South America!